For the control and treatment of infections from organisms susceptible to action of Lincomycin/Spectinomycin in Ornamental birds. These may include Mycoplasma (Chronic Respiratory Disease), Streptococcus, Staphylococcus, Corynebacteria, E.coli and Salmonella. 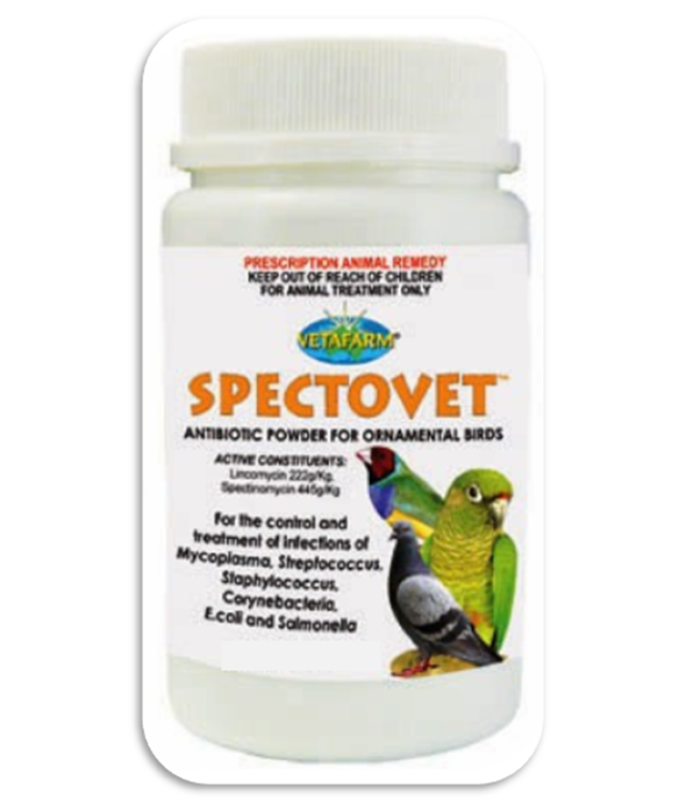 Bantams, Finches, Canaries and Poultry: Add 3g of Spectovet powder per 4L of drinking water. Dosage conversion using the enclosed spoon - 3 heaped spoonfuls per gallon of water. Budgerigars, Parakeets and Parrots: Add 5g of Spectovet powder per 4L of drinking water. Dosage conversion using the enclosed spoon - 5 heaped spoonfuls per gallon of water. Change medicated water on a DAILY basis and supply as the sole source of drinking water for 5 days or at Veterinary direction. Remove ALL wet foods such as chitted or sprouted seed, fresh fruits or vegetables, bath water, egg food, etc. during treatment. Remove ALL forms of grit from cages during treatment. *** DR. 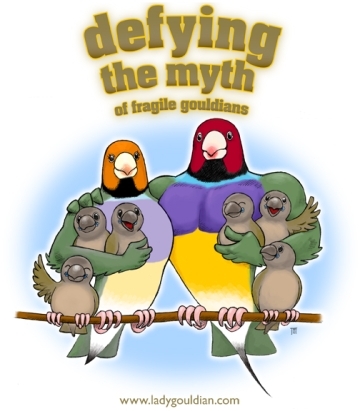 ROB MARSHALL DOES NOT RECOMMEND LINCOMYCIN FOR USE WITH LADY GOULDIAN FINCHES - WE DO NOT RECOMMEND THIS MEDICATION FOR GOULDIANS! Restraints: DO NOT allow rabbits, hamsters, guinea pigs, horses or ruminants to access feed containing Spectovet. Ingestion by these species may result in severe gastrointestinal effects. Not to be used for birds producing meat or eggs for human consumption. Storage: Store below 30 degrees celsius (room temperature) out of reach of children and other pets. Disposal: Dispose of empty container by wrapping with paper and placing in the garbage.